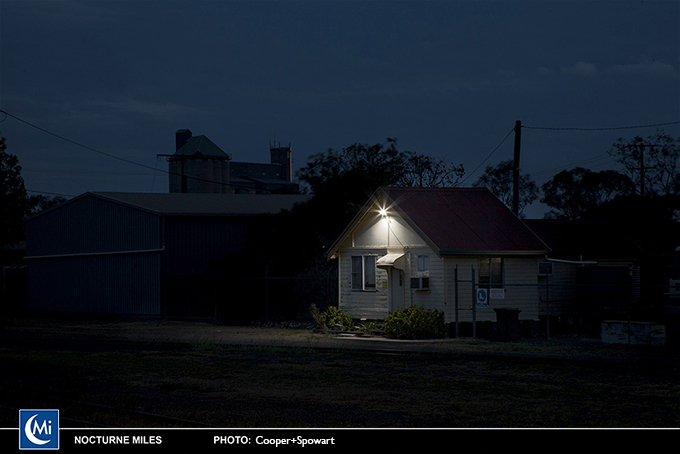 Through documentary photography and social media Victoria Cooper and Doug Spowart have explored connections with Place in urban and regional communities in Queensland, New South Wales and Victoria. 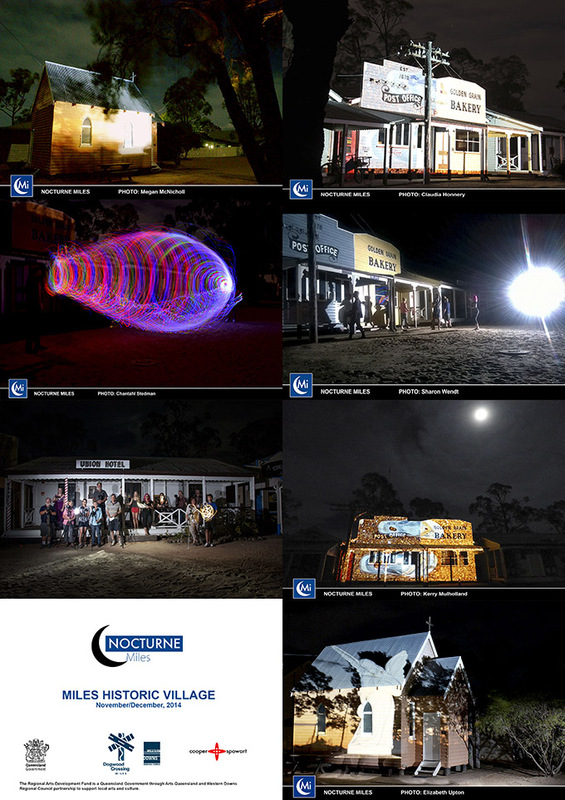 The purpose of these Nocturne Projects is to capture everyday scenes of each community in nocturnal light, dusk and dawn. 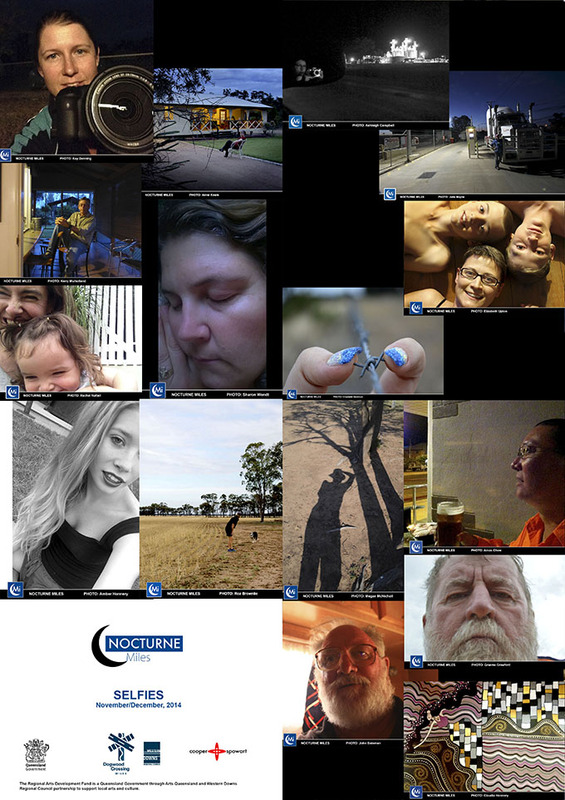 These images are then posted on a Nocturne project Facebook page to evoke stories, memories and shared experiences from the community. 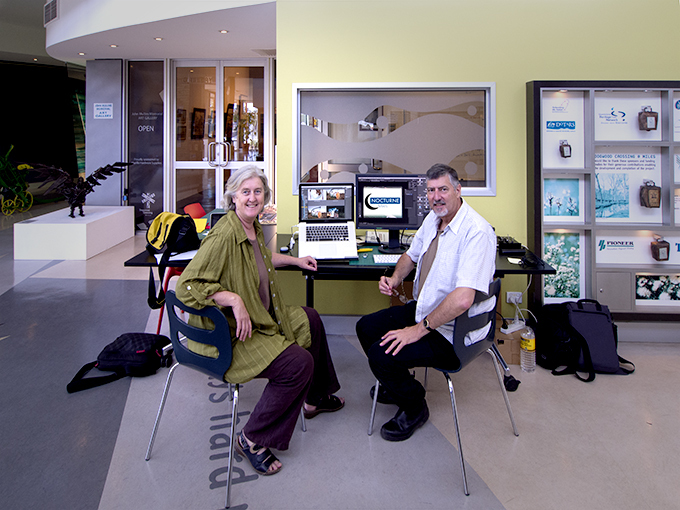 In each project Spowart and Cooper found different ways to include community participation. 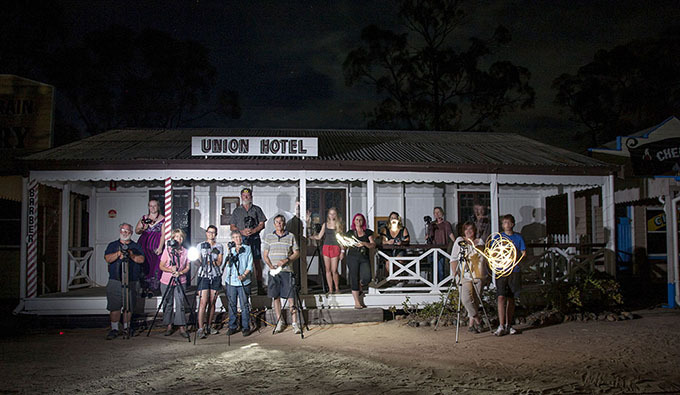 In 2014, they were invited to work in Miles, a major town of the Western Downs Region of Queensland. 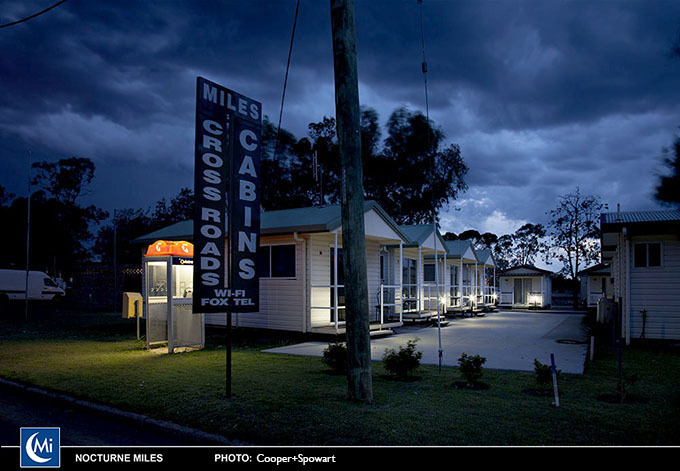 The Nocturne Miles Community Documentary project sought to engage with the broader public to undertake self-documentation projects and skill development in nocturne photography. Both local and temporary residents who enjoy taking photos, as well as those more skilled in photography were all invited to participate. After an initial workshop, Spowart and Cooper mentored the 18 participants to create images for the project including self-portraits and daily assignments and produce Facebook reports and a zine. 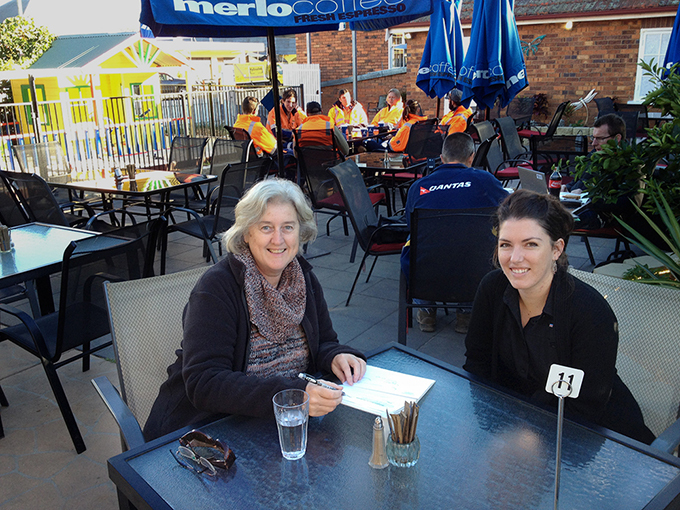 To begin the project consultations were undertaken with staff from the Western Downs Regional Council’s Cultural Development team Ashleigh Campbell and Anne Keam at Dogwood Crossing to refine the project to match the needs of their community. Then centre staff sought out members of the community who could be interested in the project. Possible candidates then completed an Expressions of Interest form to provide some information on their experience and the photography tools they had access to e.g. DSLR camera, point and shoot camera, mobile phone or tablet cameras. Another important consideration was that the applicants were going to be in the region during the project to participate in briefings, workshops and shootouts as well as the final day’s zine making activity. While numbers were limited there was a desire by the artists and Dogwood Crossing that the project accessible to as many participants and be as inclusive as possible. 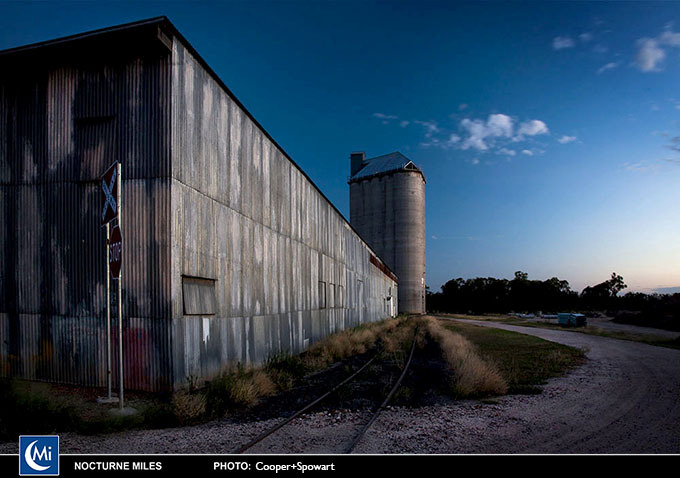 The one proviso was that project participants needed to live and/or work in or near Miles including the smaller surrounding towns or on properties/work camps in the Miles district. 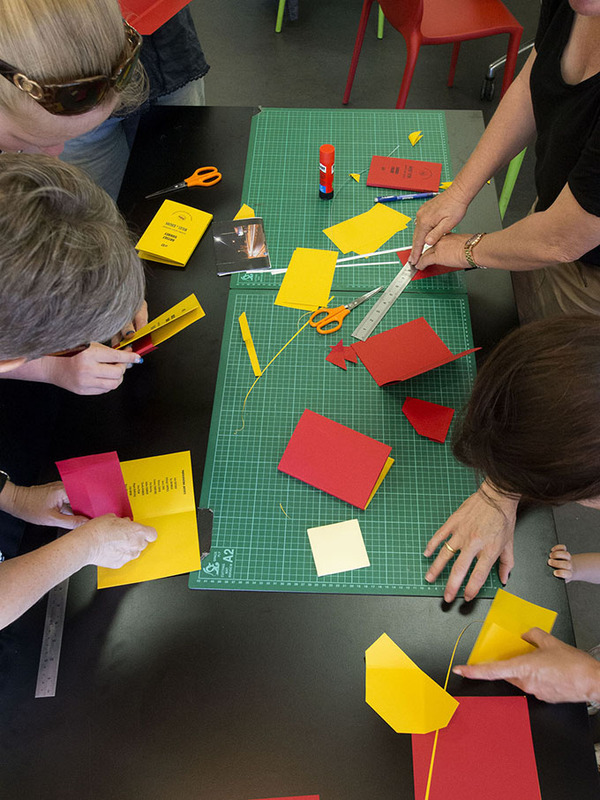 A practical ‘zine’ making workshop. The project began on Sunday November 30 with an introductory workshop, briefing and a shootout. 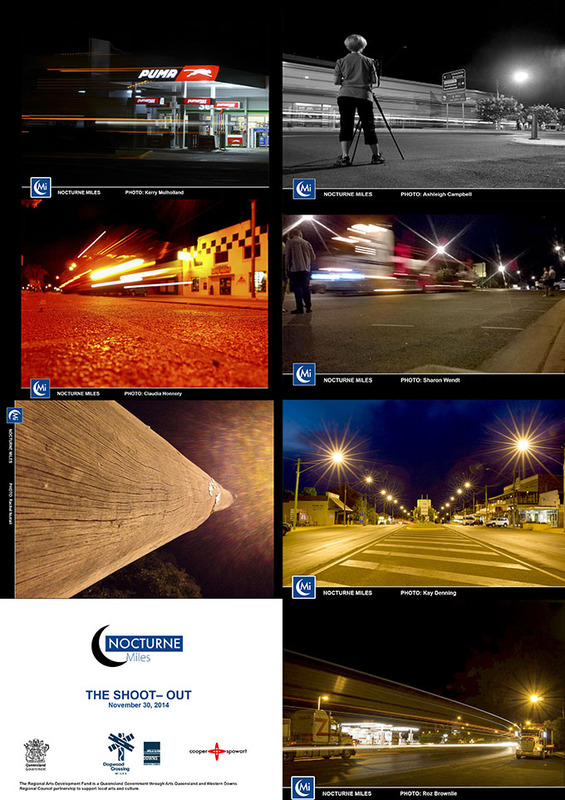 Progressively images were collated and uploaded to the Nocturne Miles Community Facebook page. 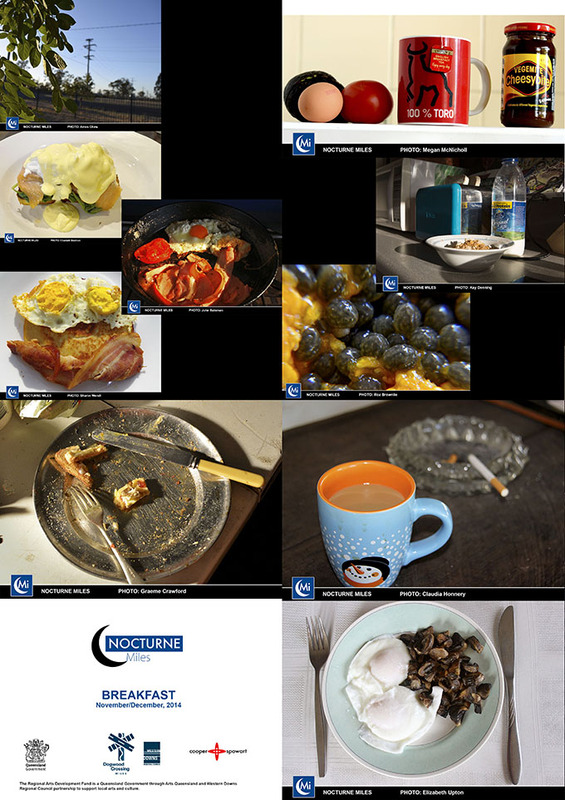 Each day a new topic was presented a challenge and their interpretation formed into a photocollage. Communication with the participants was made through a private Facebook group page that enabled hear 24hour contact with participants and Cooper+Spowart. 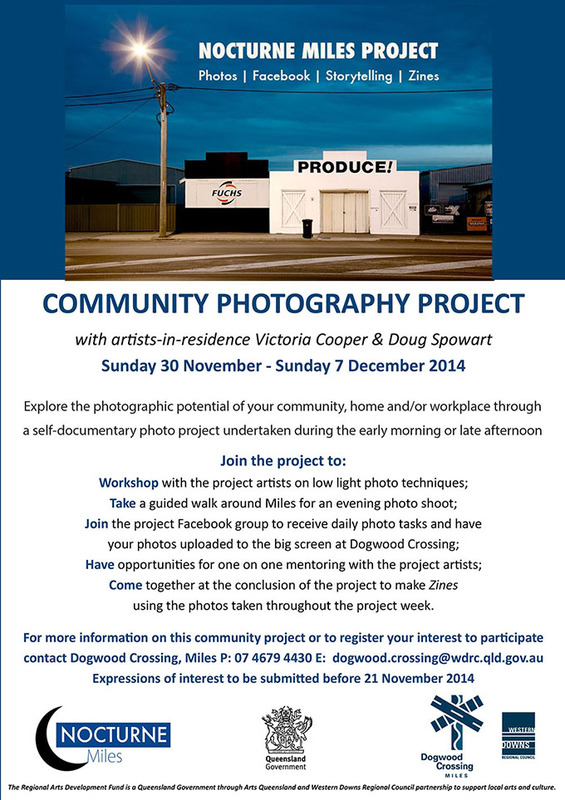 Some participants came into Dogwood Crossing with their photos or with requests for support in making and/or optimising better photographs. 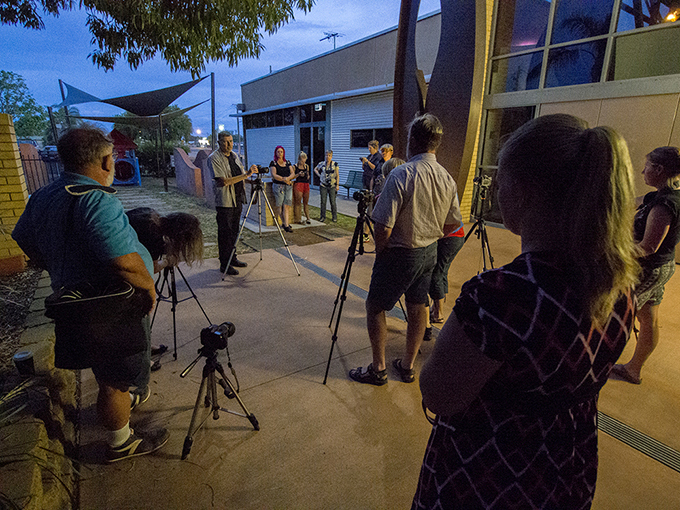 On Wednesday evening special access was provided to the Miles Historical Village for group to experiment with ‘painting with light’ and ‘projection’ techniques. Cooper and Spowart added their images to the Facebook page as well and some visitors to the page posted stories about the places pictured. By the project’s end the page had 241 Page Likes, 60 Posts and the Total Reach was 17,771. Both the group page and the community page are still active. 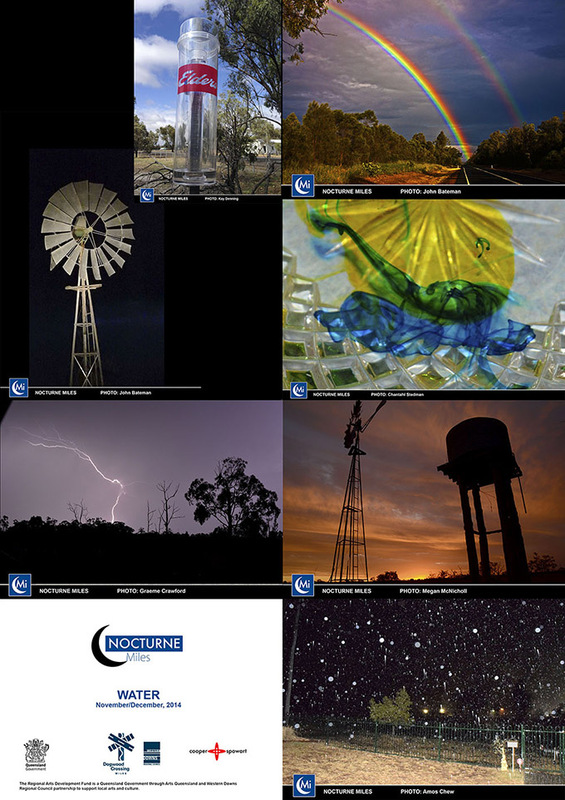 Some of the photocollages that formed the 8 page Zines that were made using the Dogwood Crossing’s A3 colour photocopier. These were cut and folded into zines that were inserted into a red and yellow special edition of the Centre for Regional Arts Practice’s Artists Survey Books. 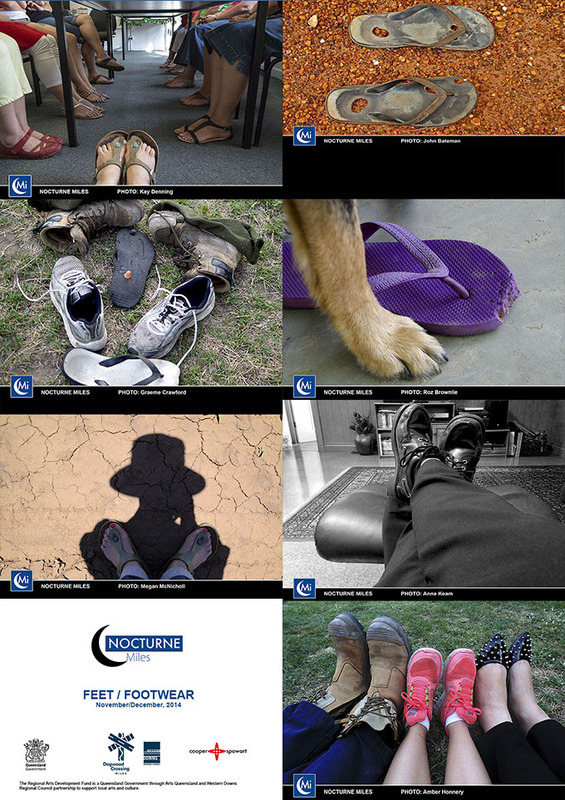 The photocollages presented here are examples of the image sets created by the participants. It is interesting to note that the original images may have emanated from all camera formats fro iPhone, simple digital point-n-shoot to sophisticated DSLRs. We hear a lot about documentary photographers and student photographers travelling out into the country to create documents of life outside of the metropolis. 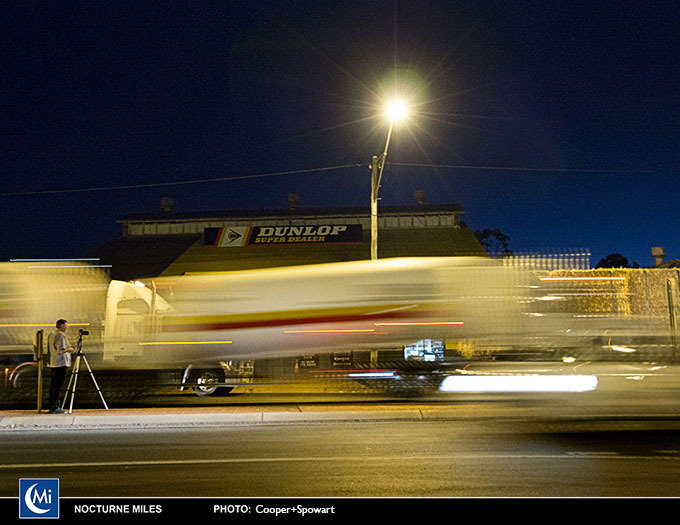 Once on the ground these photographers seek out subjects to pursue and photograph. In this way significant documents are created of these outlying communities. However, the subject of the of the photographer’s gaze, and what is photographed, is based on the view of ‘outsiders’. The photographs they make may match preconceived ideas, and mythologised opinions, that they bring with them rather than how the people who inhabit these places feel about how and where they live. 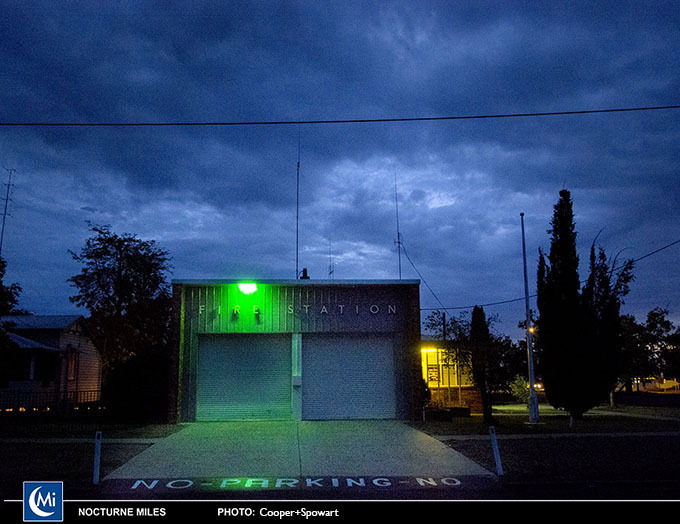 What the Nocturne Miles project shows is perhaps that in an age where everyone can be a photographer what is important is the photograph itself. What then stands out the most is the link between the photograph and it’s authenticity. 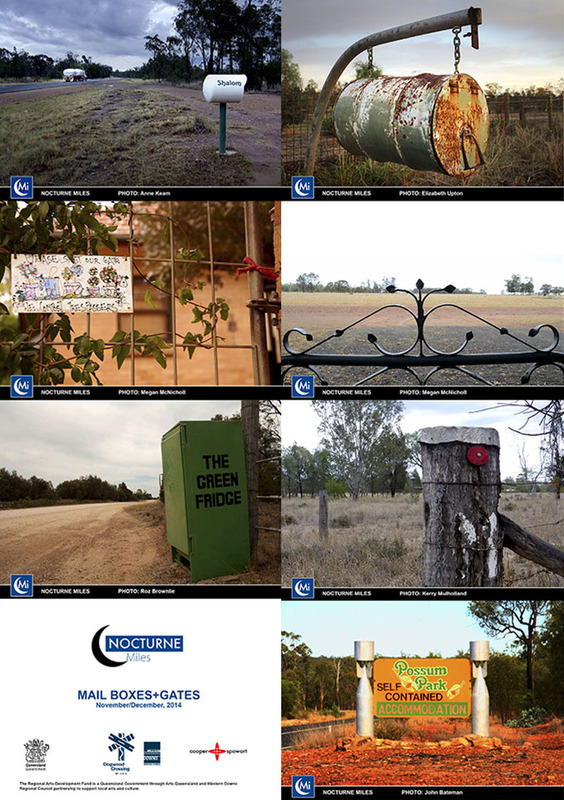 With this in mind these photographs are actual fragments of the lives of local people, whether they are from the farm, or people engaged in extractive industries, or those who work in administration roles or students at school, their voice in this conversation adds another view we can have of our regional communities. 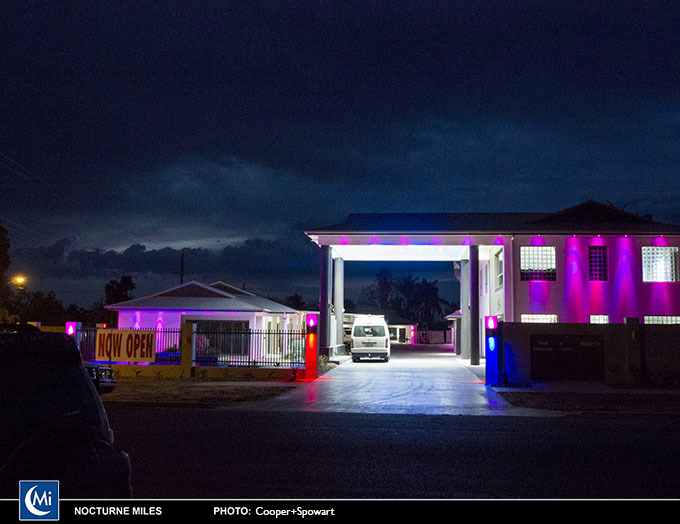 The project was undertaken between November 21 and December 7 2014 and was overseen by Western Downs Regional Council’s Cultural Development Coordinator Ashleigh Campbell and Cultural Development Officer Anne Keam. The success of the project was also made possible by the enthusiastic support of the WDRC team at Dogwood Crossing.